Residents of Powell have spoken, and the findings were presented to City Council on Tuesday. Over 400 residents recently completed a phone survey that gauged their feelings on a variety of topics ranging from general opinions on city officials to suggestions on downtown improvements. Similar surveys, organized and conducted by Columbus-based Saperstein Associates, have been carried out in Powell every other year, beginning in 2008. “This survey gives the community at large an opportunity and a quantifiable way to share their opinions with you,” said Marty Saperstein, president of Saperstein Associates. Interviews were conducted with a random sample of registered voters in the city, and the time to complete the survey averaged 19 minutes. Exactly 7,676 numbers were called in order to reach the target of 401 surveys, compared to only 2,954 numbers dialed in 2010. Saperstein said the number of dials necessary to reach 400 has continued to rise due to phone numbers changing and landlines becoming increasingly obsolete, among other things. 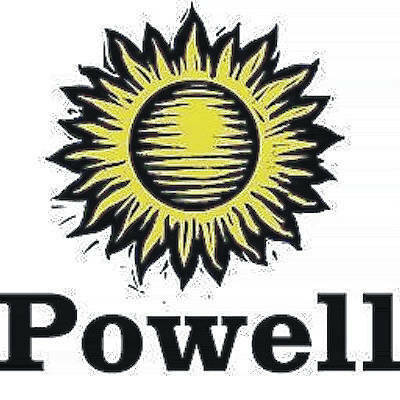 As for the results, 51 percent of residents who participated voted Powell as an exceptional place to live, while 44 percent labeled the city better than average. A small-town atmosphere was, by far, the most appealing asset of the city, followed by its convenient location, numerous amenities, and quality of schools. Two out of three residents said they were satisfied to some degree with city council, but 20 percent of participating residents said they were unsure of their satisfaction with council. Saperstein said that uncertainty represents an opportunity for the members to be more “in the faces” of residents. One of the most significant changes in the survey came with the question of how satisfactory city officials’ managing of the city’s finances was or wasn’t. Only six out of 10 residents were satisfied to some degree, with only two out of those 10 being very satisfied. The 60 percent figure was down from 74 percent in 2016, and 77 percent in 2014. The other significant change came in regard to traffic, where 56 percent of participating residents were at least somewhat satisfied with the flow of traffic, up from 34 percent in 2016. Counts believes that increase has a lot to do with the past surveys. “I just want to emphasize the importance of these surveys. I think over the last four years, I’ve seen a real sense of (city council) using this survey,” he said. “I’ll use traffic as an example. We have made significant traffic improvements over the last four years, and the residents noticed that. Among the welcomed additions most frequently mentioned were bike paths, dog parks, parking and downtown variety. Residents said they would like to see less traffic, apartments, taxes, banks and geese, among other things. Full results of the community attitude survey can be found on the city’s website.